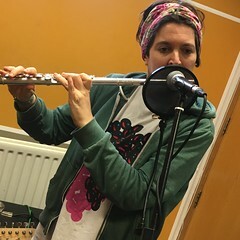 This Saturday 17th March Charismatic Megafauna and The Anderson Tapes performed live in session while Kate Ryder popped by to talk Toy Piano’s and Borough New Music on Resonance FM. This entry was posted in dexter bentley, hello goodbye show, Hello GoodBye: Playlists, resonance fm and tagged borough new music, charismatic megafauna, dexter bentley, hello goodbye show, kate ryder, london, radio, resonance fm, the anderson tapes, toy pianos. Bookmark the permalink.